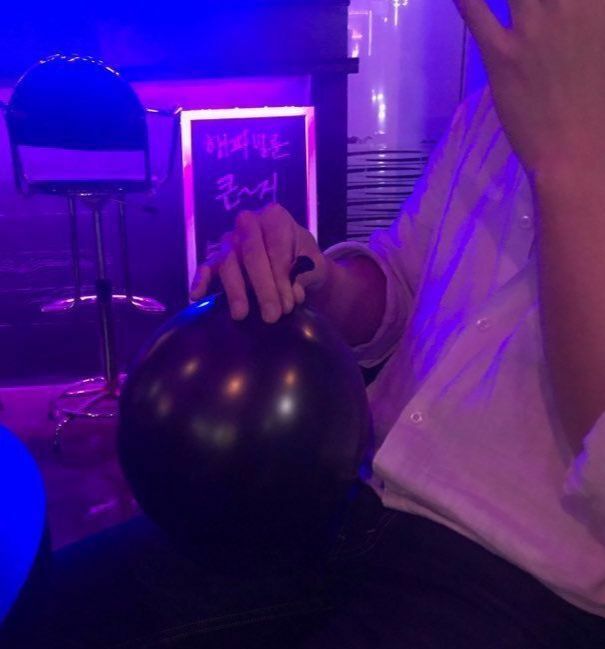 In a pub located in Jong-ro, Seoul, a group of people in their 20s took balloons and brought them to their mouths. After inhaling from the balloons, one of them leaned against the wall, while another collapsed to the side. In the balloons was nitrous oxide, more commonly known as laughing gas. In South Korea, “happy balloons,” with the gas inside are easily accessible from streets and pubs. Nitrous oxide, which is commonly known as the “laughing gas,” is sold in balloons or capsules [Newsis]. Nitrous oxide is a gas used mainly for medical purposes. Until recently, however, it had been readily available to the public, contained either in balloons of capsules and sold without proper license of usage. In a number of pubs in Seoul, the balloons were sold for 5,000 KRW (approximately $5) each. As the abuse of the gas spreads widely among the younger generation, experts raised health concerns about the overuse of nitrous oxide. In addition to its hallucinatory effects, overuse of the gas might cause oxygen deprivation. A customer at a pub in Seoul using a “Happy Balloon” [Photo by Lee Min-young]. In fact, there was a case reported earlier this month where the overuse of nitrous oxide possibly led to a user’s death. On April 13, a 20-year-old man was found dead on the floor of a hotel room, with a plastic bag over his head. In the room, several hundred nitrous oxide capsules were found — 17 of them empty. The gas was found in the plastic bag that was over his head as well. 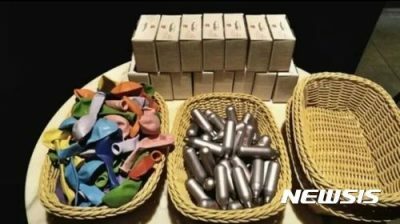 Korean Ministry of Environment is to promulgate legislation to revise the law regarding chemical substance management this month, which would regulate the usage and sale of nitrous oxide.